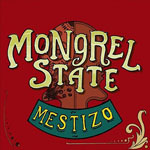 Share the post "Album review: MONGREL STATE – Mestizo"
Did I tell you the one about the two Irishmen, an Englishman and an American? No, sorry, that was last week’s Americana review. This week it’s a tale of an Irishman, an Italian, a Spaniard and an Argentinian. And this one’s even better. In fact, it’s not actually a new story as Mestizo, the debut album by the Dublin based four piece, was originally released (on home soil only) in 2016. But following a positive reception including radio play and TV appearances, the band are giving it a wider push in 2018, supported by dates in the UK, Switzerland, Spain and beyond. The four – Darren Flynn (bass, vocals), Claudio Mercante (guitar, vocals), Guillermo Gonzalez Rodriguez (keyboards, guitar, percussion, vocals) and Sebastian Jezzi (drums, vocals) – serve up a veritable cultural melee. And don’t be put off by the Americana ‘tag’. The very first thing that struck me was that for those who still yearn the untimely demise of The Zutons, is that Mongrel State provide the perfect antidote. They’re adept at the same scuzzy, rumbustious roots infused pop that made The Zutons and their close knit cousins The Coral such a draw. And then some. There’s an audible Billy Idol sneer (‘Ten Steps Ahead’), forget the Sensational Shape Shifters – ‘How Many More Times’ marries Robert Plant’s current Americana muse with his Zeppelin roots to perfection, and both ‘High Time’ and ‘Zombies On The Highway’ offer a raw southern rock vibe that bands like Blackberry Smoke and Black Sone Cherry can only aspire to. This entry was posted in ALBUM REVIEWS, ALBUM REVIEWS (Mobile), All Posts, Reissues and tagged album, Americana, Mestizo, Mongrel State, review, rock, roots. Bookmark the permalink.